A resource of YOGA information. Although many people think this term refers to union between body and mind or body, mind and spirit, the traditional acceptance is union between one's individual consciousness and the Universal Consciousness. Therefore Yoga refers to a certain state of consciousness as well as to methods that help one reach that goal or state of union with the divine. This is believed to be the original depiction of the syllable OM. There are hundreds or more of such techniques and therefore as many different Yogas. In order to simplify and clarify the topic, Swami Vishnu-devananda summarized the vast science of Yoga into 5 principles of Yoga which are easy to understand and to include in one's daily life. (depicted graphically from below) earth, water, fire, air and ether (sky). 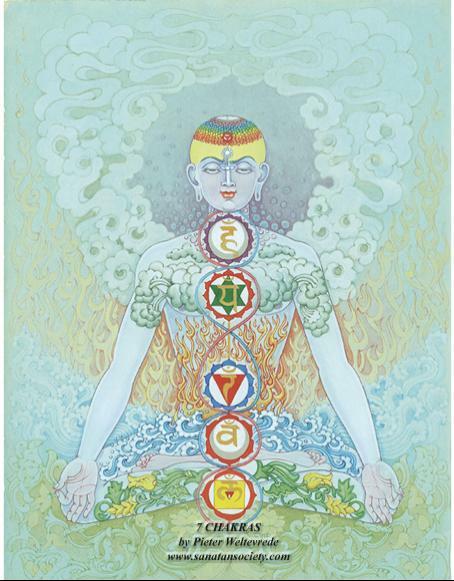 Yoga presents a system that creates a state of unification of mental processes and consciousness. Yoga is based on particular disciplines and exercises through which union of individual and cosmic consciousness may be obtained by anyone who chooses to adhere to the prescribed system. Yoga not only describes all mental states, aspects and dimensions possible within the individual, but also advocates practical games to be played with the mind to control its functioning and to achieve peace. Meditation is only one aspect of Yoga. Swami Sivananda recognised that every Yogi, or human being for that matter, possesses and identifies with each of these elements: Intellect, heart, body and mind. He therefore advocated everyone to practice certain techniques from each path. This came to be known as the Yoga of Synthesis. He also taught that in accordance with individual temperament and taste one can emphasize the practice of certain Yogas over others.